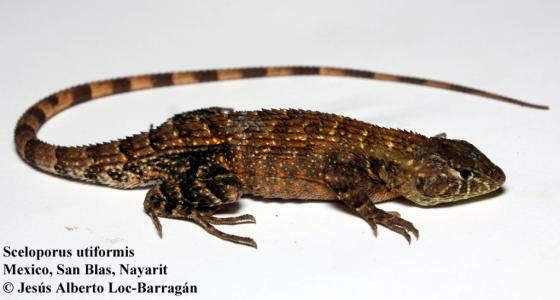 Can you confirm these amateur observations of Sceloporus utiformis? Type locality: Near Colima, Colima. Comment Wiens and Reeder (1997) showed that utiformis is the closest relative to the species of the former Sator, hence the suggested Standard Name “Antesator”. Etymology Cope stated that utiformis "approaches Uta in its scutellation." To that name he added –formis, from Latin forma, shape or figure. At that time Uta included Urosaurus of today.